Recent widespread and devastating wildfires in the Pacific Northwest provide testimony that unmanaged forests represent a substantial fire risk to nearby communities, wildlife (including endangered species), watersheds, and forest health. Active management of these forests could significantly reduce the fire risk. 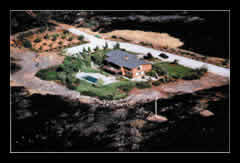 A Handbook on Preparing a Community Wildfire Protection Plan was released in March 2004. 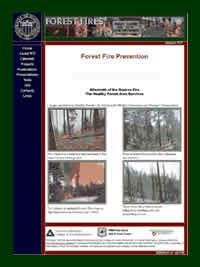 The handbook, developed jointly by the Society of American Foresters, the National Association of State Foresters (NASF), the National Association of Counties (NACo), the Western Governors’ Association (WGA), and the Communities Committee of the Seventh American Forest Congress, and endorsed by the Southern Governors' Association, offers a detailed description of how to create a community wildfire protection plan as allowed by the Healthy Forests Restoration Act of 2003 (HFRA). For more information and a link to the Handbook, click here. Final Report: Investigation of Alternative Strategies for Design, Layout and Administration of Fuel Removal Projects. 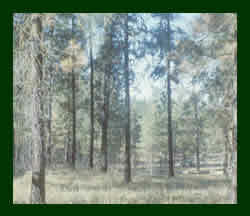 Final Report under USFS Grant WNFP 01-015. July 25th, 2003. After two years of research, the final report for fire risk reduction through fuel removal is finished. 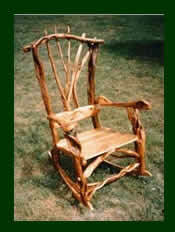 With the link above you can read it on-line. With the following links you can open the PDF version of this report, or the PDF version of this report's Appendices. The most important goal when managing forests for fire purposes is to reduce surface fuels and increase height of live crowns. Also important is the reduction in canopy closures. Treatments such as prescribed fires and mechanical thinning are likely tools to achieve the removal of smaller trees in order to help ensure forest health. As a result of managing forests for both fire risk reduction as well as overall health, many opportunities for the use of small diameter timber will arise, in addition to numerous other market and non-market economic benefits. The following slides show the importance of forest management for fire reduction and overall health. The next set of slides shows examples of market opportunities for the use of small diameter timber. 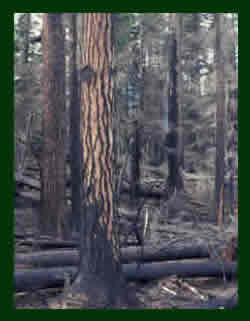 For a compilation of sequential forest fire photos, forest fire behavior videos, and a link to an informative and interactive forest fire management game, click here.